We have emailed any customers who have a service that will be affected. Companies will not be formed on these days. Company formation requests will be placed in a queue and dealt with on the next Companies House working day. For more information please check the Companies House website here. We would like to take this opportunity to wish you a Merry Christmas and a Happy New Year! 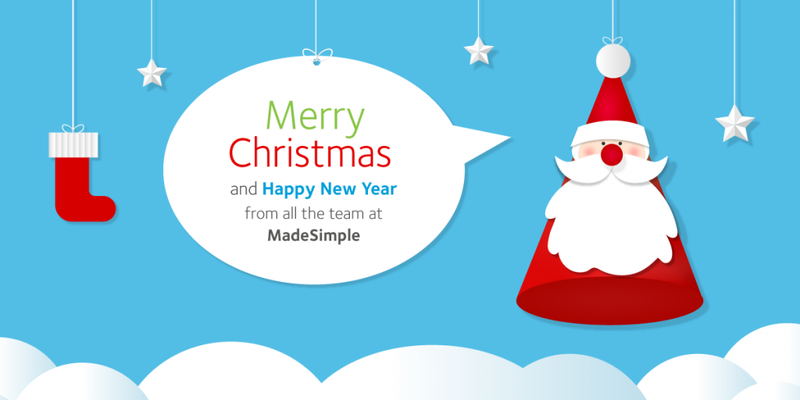 This entry was posted in Company Formation - Companies Made Simple, News, Work Hub MadeSimple and tagged Christmas, Christmas Opening Hours, Opening Hours on December 7, 2018 by Lauren Felstead. When she’s not in the office, you can find her at home in pyjamas trying to catch up with everything on Netflix, often with a cat and chocolate by her side. Other loves include reading every magazine going and music concerts.